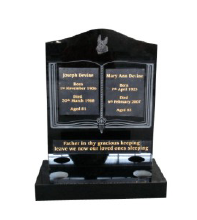 We specialize in traditional & creative memorials, Hot Sale Bible Headstone with Lettering in Color Black monuments, headstones & plaques. 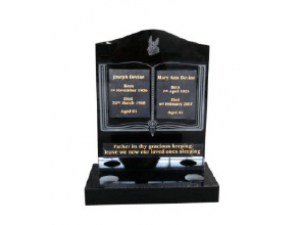 All our memorials, headstones and plaques are crafted using only the highest quality products to ensure satisfaction not just for today, but for the future as well. We particularly specialize in the use of granite.